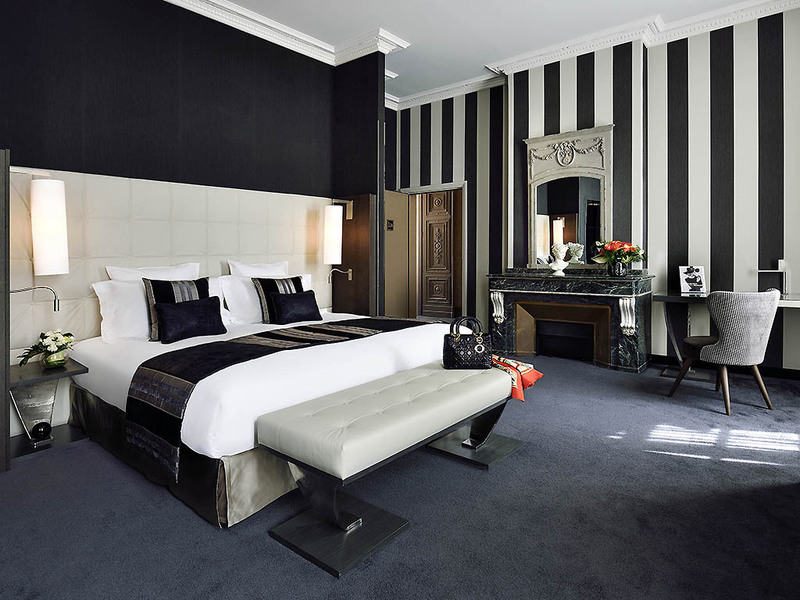 Ideally located in the heart of Toulouse, in the historic district of Carmes, the Cour des Consuls Hotel & Spa MGallery by Sofitel promises you a timeless stopover in its unique 16th and 18th century luxury hotels. The hotel has the atmosphere of a family residence and boasts inner courtyards, a majestic staircase and a period fireplace. The decor combines the classic and the contemporary in an intimate and mysterious setting. The Michelin-starred Le Cénacle restaurant offers a Thomas Vonderscher signed menu. Discover a refined cuisine in an elegant setting retouched with Occitan accents. Then relax in the cozy, British-style Champagne Bar. 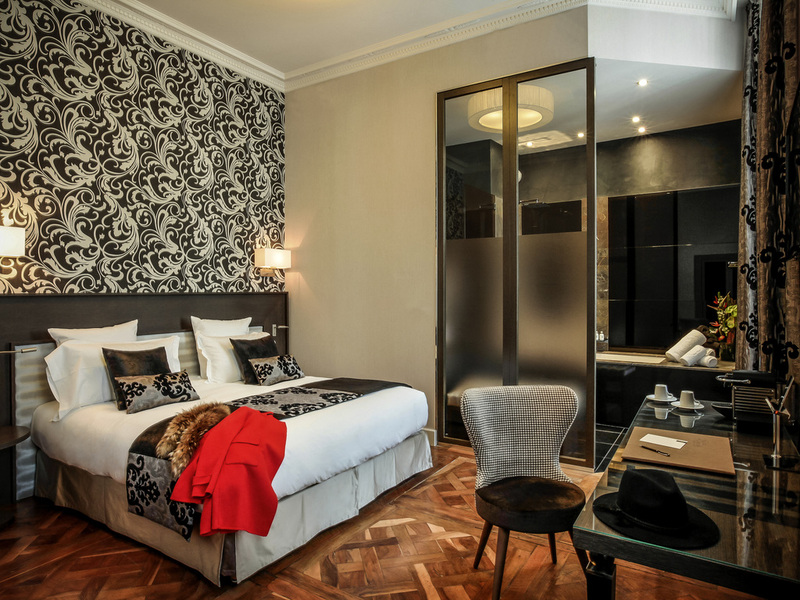 At La Cour des Consuls Hotel & Spa in the heart of Toulouse, the entire team and I will ensure you have the best possible stay in the "Pink City". ..
Admire the wrought iron banister of the grand staircase and the restaurant's stone hearth. At La Cour des Consuls in Toulouse, a city full of historical and cultural wonders, we offer you the chance to enjoy a unique experience surrounded by the colors of brick red and violet and all the passion of our trade. Thanks to the pastel trade, the illustrious Tournier family established Rue Madeleine in the 16th century and acquired the hotel on Rue des Couteliers in the 18th century. Pierre-Marie Dassier took over in 1830 and renovated it in the style of the time. Woad, a fabulous plant that brought blue to the whole of Europe 400 years ago, helped Toulouse flourish during its Renaissance. In addition to its splendid colors are its medicinal and relaxing properties, which you can discover in our spa. Then take a stroll through the streets of the old town and meander up to the workshop where we prepare cosmetic products, and enjoy a memorable moment in an idyllic setting discovering the jewels of the Occitan region. Capital of the south west of France, Toulouse is known as the "Pink City" on account of its pink bricks and red tiles. Crossed by the River Garonne, this city is distinct from France's other large cities. In the heart of Old Toulouse, in the Carmes district close to the Esquirol. From highway A62, take the Empalot exit, follow Centre Ville then Les Carmes and then hotel signage. From the Toulouse Blagnac airport shuttle to Jean Jaurès then shuttle to the city center to Pont Neuf (7 days a week from 4:00 AM until 1:00 AM. every 20 min., 8 EUR). 25 minutes' walk southwest of the SNCF Matabiau train station 25 minutes walking. By metro: Metro A Esquirol station or Metro B Carmes station. 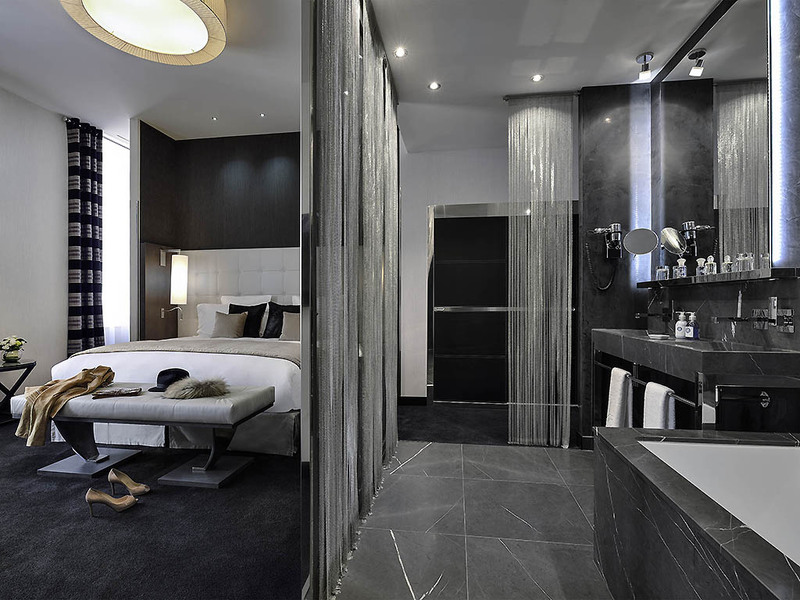 two types of rooms, suites and an apartment. All areas are bright and spacious, with large bathrooms including shower and/or bathtub, "Palace Treca" bedding of exceptional quality, and beautiful materials: marble, wood, leather, steel. 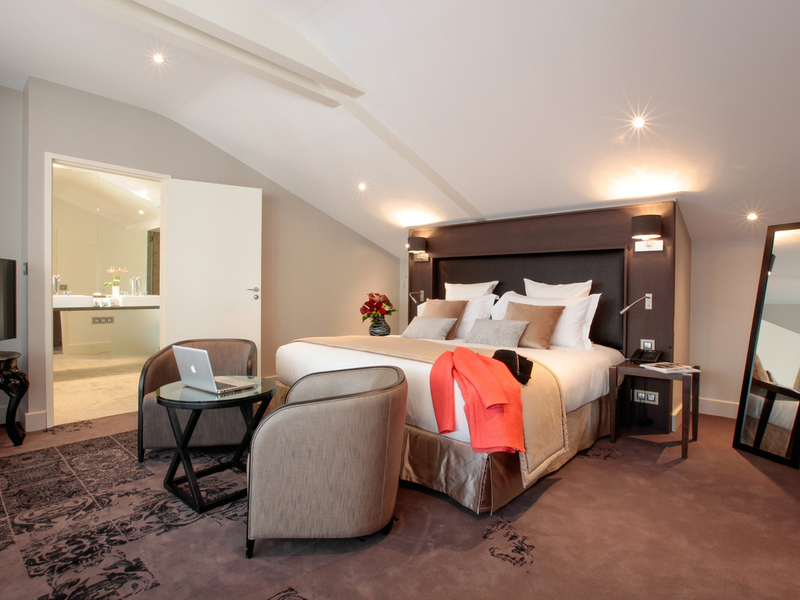 Stay in a perfectly appointed luxurious suite and pamper yourself with complimentary Graine de pastel products. With a sitting room and a terrace, the Executive Suite is an excellent place to peacefully unwind after a tour of the city. Room measuring 463 sq. ft. (43 m²) with free Internet, 42" TV, minibar, tea and coffee making facilities, Nespresso machine, lounge access, rain shower and/or bathtub, music system in the bathroom. Le Cénacle restaurant: refined and harmonious cuisine by Chef Jérôme Ryon, executed by Thomas Vonderscher. With a dash of sun and a pinch of flavor from the southwest of France, experience authentic and creative cuisine that will awaken your taste buds. REFINEMENT - Inventive, subtle and balanced cuisine made with fine, seasonal produce. ELEGANCE - A restaurant with a unique ambience, a listed 16th-century fireplace and a reproduction of a Caravaggio painting. Le Cénacle is the place to eat. Every day, we welcome you for your business or private meals. Our star chef Thomas Vonderscher created a menu of traditional cuisine, with added refinement and subtlety. Located in the heart of the Carmes district, the Champagne bar opens onto the Couteliers interior courtyard and invites you to unwind and share a pleasant moment. The hotel bar is an exclusive location for business and cultural encounters. Whatever the occasion: whether an interview, creative meeting, seminar, product launch, stand-up cocktail event indoors or outdoors in one of our inner courtyards, everything is possible. We will assist you to ensure your events are a success. Private use of all or part of the hotel will immerse you in an enchanting world to celebrate your big day. With terraces, swimming pools and gardens, the charming MGallery collection hotels offer an idyllic setting for cocktail parties and receptions, providing guests with truly beautiful surroundings. Your wedding day is a memorable day where nothing should be left to chance. To make your reception a resounding success, the hotels provide the couple with a wedding planner who will ensure that the ceremony runs smoothly. As the big day draws to a close, newly-weds and guests can reach their rooms in just a few minutes. The newly-weds can enjoy a four-poster bed in the honeymoon suite. The perfect opportunity for the couple to make the romantic moment last. The menus served to your guests comprise inventive cuisine and local products. Prepared by top-class chefs, they will help to make your special day unforgettable. The charming hotels in the MGallery collection can arrange civil and PACS ceremonies. So your reception and ceremony can both be held in the same luxury hotel. Designed in the style of a Bourgeois apartment, with products by Graine de Pastel, the SPA invites you to escape into its white chrome universe of well-being and serenity. With 4 rooms bathed in natural light, relaxation room, hammam and tea room. 24-hour reception, valet parking and porter service, Executive Lounge, Spa with 4 rooms, Fitness Lounge, hammam, champagne bar, room service, outdoor terrace, gourmet restaurant.